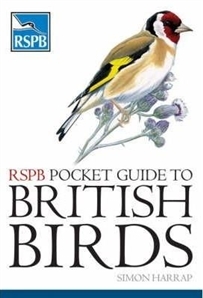 A compact, informative and beautifully illustrated RSPB guide to 174 of the most common birds found in Britain. This new pocket handbook will easily be the best value and highest quality British bird guide available within this price range. The RSPB Pocket Guide to Birds will feature concise descriptions of each bird's main characteristics including plumage, calls and song, confusion species, habitat, distribution and status, and behaviours. The brand new text, from Simon Harrap, is being written to highlight the detailed artworks. This easy-to-use guide features a species per page, including a colour distribution map.